Could this be the last M Special Edition before the new BMW 6 series arrives? The BMW 6 Series is a perfectly serviceable luxury coupe, but now it’s been given the M Sport treatment to spice it up and keep sales rolling until the impending arrival of the new next-generation model. 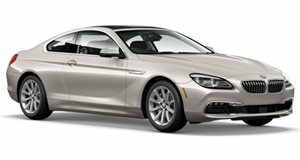 Available for the 5 Series Coupe, Convertible and Gran Coupe, all engine options remain the same as the regular models and each model comes with an eight-speed automatic transmission, but there are several cosmetic tweaks that make it stand out. The most obvious change differentiating the M Sport Limited Edition is its exclusive Sonic Speed Blau metallic paintwork, as well as new 20-inch M alloy wheels in a bicolor design and carbon fiber side mirror caps. The interior has received a few tweaks too. Each model includes exclusive comfort seats fitted with BMW Individual fine-grain Merino leather with black and blue accents, as well as custom floor mats with contrasting Fjord Blue piping. Elsewhere, the interior trim is coated in carbon fiber, which has been applied to the gear selector lever, while the blue door sill cover strips have a special “M Sport Limited Edition” inscription to make it more exclusive. Oddly, BMW hasn’t specified how many units of the Limited Edition M Sport will go into production, but did affirm that it will only be available in “restricted numbers.” Sadly, BMW only plans to make the 6 Series Limited Edition available in Europe, but US buyers can fit the same wheels and paint job to the newly launched 2018 BMW 6 Series anyway. This could be the last limited edition before the belated arrival of the new BMW 6 series.